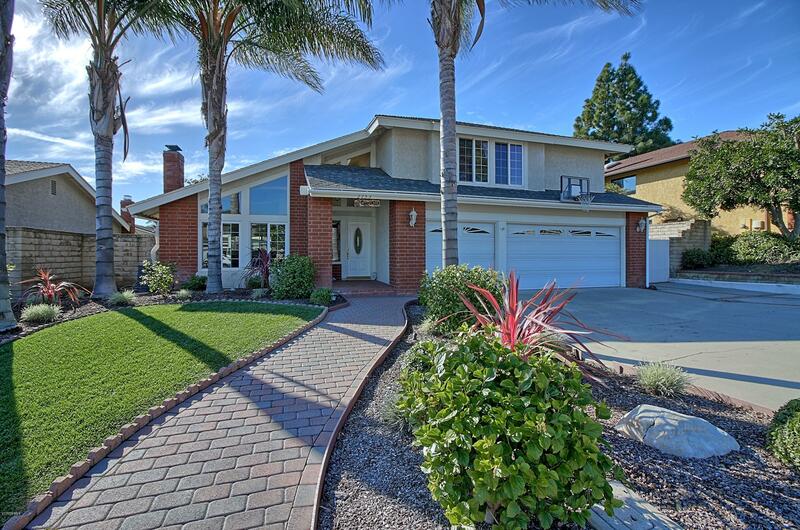 This Camarillo Heights home has it all... Cul-d-sac street, RV access, swimming pool, endless upgrades, exceptional floorpan, and much, much more. This home is energy efficient and earth conscious with it's rain water recapture system, solar panels installed in 2015 and Tesla backup battery. The covered patio with built-in bbq, outdoor TV, above ground spa and gorgeous mountain view make this unique home perfect for entertaining. Other upgrades include new landscaping, 2018 kitchen remodel with stainless steel appliances and soft-shut cabinetry, designer shutters, and even soft water. Everything has been done. This is your home!